2015 Movies In Review: September / October | Warped Factor - Words in the Key of Geek. Did you enjoy Cast Away? Did you enjoy Apollo 13? Do you like Matt Damon? If you can answer yes to all three of those, grab your popcorn, grab a drink, and settle down. 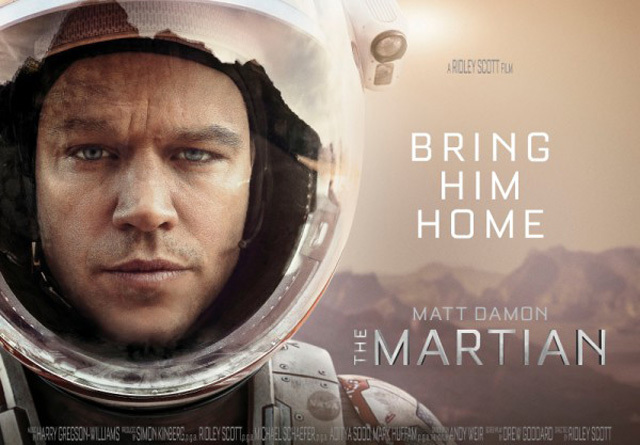 You have nothing to fear from The Martian, and in fact, you’re likely to have a cracking time. It’s half ‘man marooned on a desert island…only in space,’ half ‘we left a dead man behind, except he’s not freakin’ dead after all, how the hell do we get him home?’ (if you want a high-concept boil-down, you could call it Saving Private Ryan In Space) but – and this is massively important – it’s a mixture that’s welded together by the character of Mark Watney, ‘the Martian’ himself. Crimson Peak is stunning. From its visuals to Jessica Chastain stealing the show (no joke, she’s bloody amazing. From the first moment she’s on screen she has this dark presence), everything about this film is wonderful. 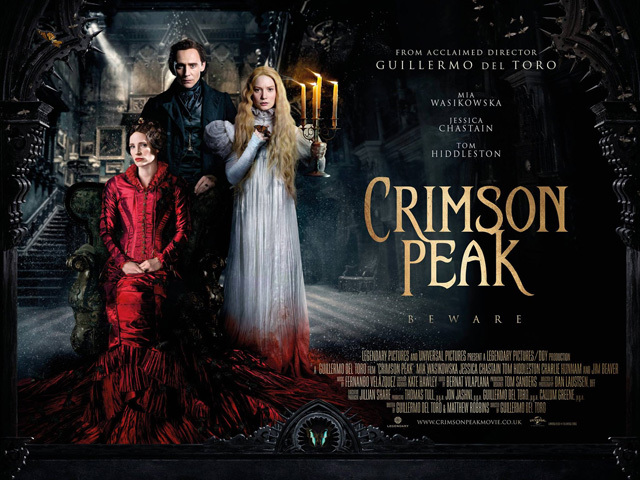 I have a love and hate relationship with horror, just because how cheap and tacky, while riddled with clichés it can be; but Crimson Peak has made me love the genre again, even if it’s not completely a horror. Gothic Romance is a better term to use, but that could put many people off of seeing it. Lets say, it’s a gothic romance, but with a disturbing story and imagery, and gruesomely violent scenes, because this film is anything but romantic. It's actually not terrible. 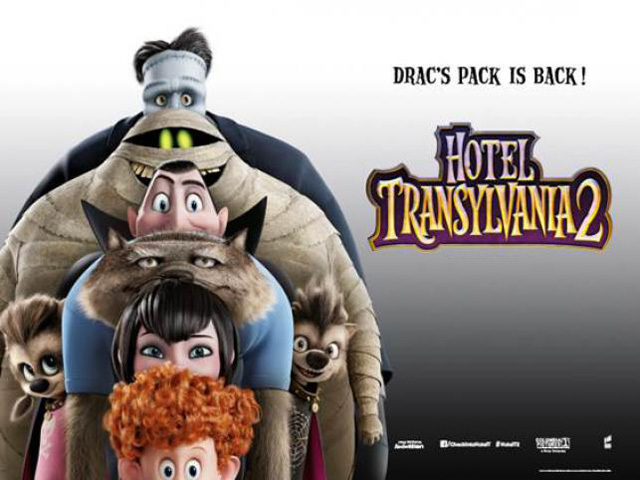 That's the phrase I surprisingly found myself saying after watching Hotel Transylvania 2. Naturally I assumed the worst. I mean, I like to go into a movie open-minded, but Adam Sandler + sequel.... well, you do the math. But it was OK. Yes, most of the funnier stuff is revealed in the trailer, and the story itself is a little on the lite side, but it's a good enough film to keep the kids entertained for an hour and a half, and one that you'll probably get a little chuckle out of too. Through it's journey from orphanage to fairy land, Pan features quite a lot of action and battles taking place in grand and magical looking landscapes. It's entertaining enough and doesn't deserve a lot of the negativity I've seen from many reviews. That's not to say it's completely successful as the story is too repetitive at times, and I felt as if not enough time was given to properly establish the main characters outside of Peter Pan himself. For instance, finding out how Captain Hook got the way he did, Wendy, Tinkerbell etc. Hugh Jackman makes for a decent Blackbeard, Rooney Mara is very very good as Tiger Lily, and the boy who plays Peter, Levi Miller, is endearing. 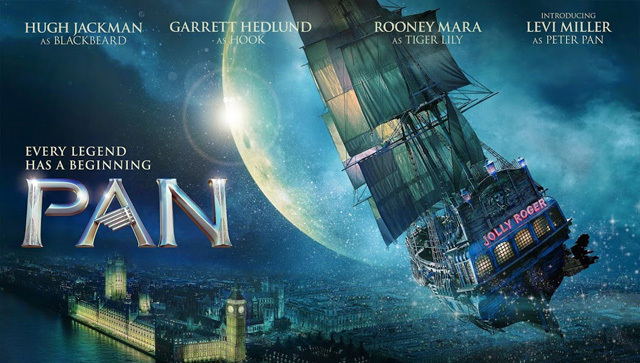 All round, Pan is well cast and is a good family cinematic treat. I wonder if Vin Diesel was wooed for this movie because the producer's genuinely hoped to launch a new franchise of features with him headlining, or if they just wanted a famous face to bring some personality to a tedious story that would otherwise go unseen by the masses. 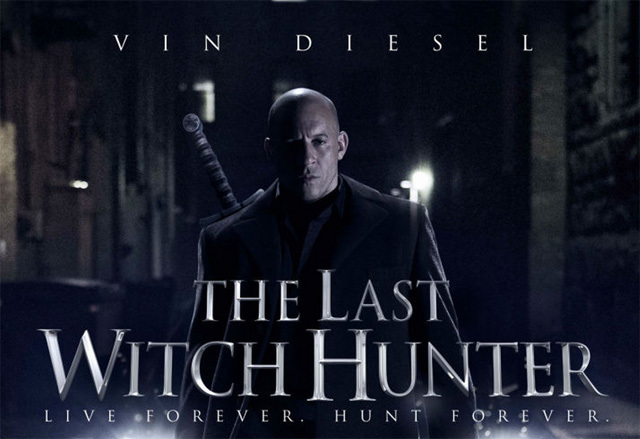 Either way, the plan failed as The Last Witch Hunter doesn't leave you wanting any kind of sequel, and Diesel, try as he might, can do nothing with the stupidity of the screenplay, one riddled with clichés and formulas copied from equally boring films. The characters are all undeveloped, like the movie itself they lack any excitement or creativity. The only good thing about The Last Witch Hunter are the special effects, but they never work as a substitute for the drama or narrative cohesion that the screenplay is not even interested in achieving. I'd say it's a case of style over substance, but it's more like some style and no substance. 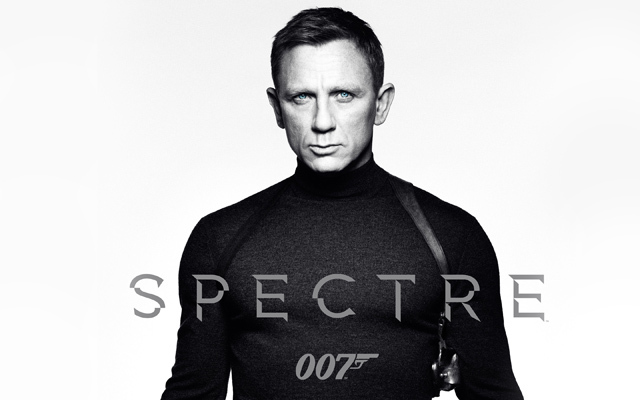 Did anyone ever really think this was going to be as good as Skyfall? Well, as we always knew deep down, lightning doesn't quite strike twice, and thus Spectre was not quite as thrilling and rewatchable as its already legendary predecessor. But does that make it a bad film? Hell no! Packed to the brim with action, brilliant actors having loads of fun, dazzling visuals and memorable moments, Spectre deserves a much better legacy than "not as good as Skyfall". It may not be 10/10, but certainly an 8 or 9. Next week we complete our retrospective of the big movies of 2015 as we check out the films released in November and December. In the meantime, did you watch any of these films? And what did you think of them? Let us know in the comments below.